How to find safe, practical, and affordable land for your tiny house. Are you thinking about joining the tiny house movement but aren’t sure how or where you’ll park your tiny house? Tiny house parking is the ultimate guide to the obvious and not-so-obvious caveats that come with finding a home for your tiny house. 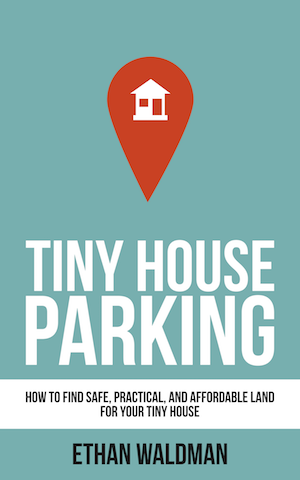 You can read Tiny House Parking on any device using one of Amazon’s free kindle apps! If you are nervous about finding a suitable place for your tiny house, including navigating all the legal stuff, this book will help show you the way! Where can I put a tiny house? Will it be legal to live in my tiny house? This is different than whether it’s legal to build or not. Make sure you look into this before you ever move in! Because building your house and living in it are two different things (legally speaking)! How do I find landowners willing to let me rent a place for my tiny house? A list of tiny house friendly cities, websites, and other resources to help you get started! Tiny House Parking will help you navigate the confusing legal landscape that surrounds tiny houses so you can find exactly the right place for your tiny home. 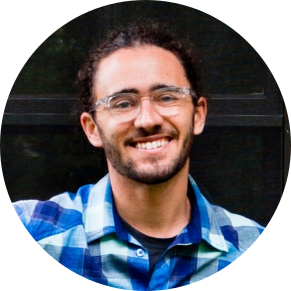 Tiny House Parking features extensive interviews with three other tiny house dwellers so you can learn exactly how they went about finding land. These tiny house parking stories are followed by a list of tiny-friendly cities, and details about the tiny house movement in other countries. Thank you so much for your interest in Tiny House Parking! At 73 5-star reviews and counting, Tiny House Parking is a no brainer for your tiny house journey! The book is now available for instant download on Amazon!